Interested parents should contact the school and arrange to observe a class in session. The application form must be submitted along with an application fee. An interview with the child will then be scheduled. Preference is given to children who enter school before the age of four, and to siblings of presently enrolled students. Early application is recommended. Southampton Montessori School admits students of any race, color, national and ethnic origin to all its rights, programs, and activities. It does not discriminate on the basis of race, color, national and ethnic origin in admissions, administration of educational policies and other school-administered programs. 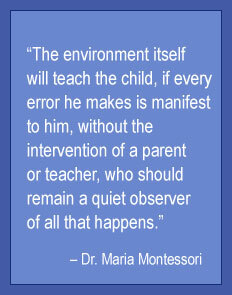 How did you hear about Southampton Montessori School? A Non-Refundable $25.00 fee must accompany this application.